The Chevrolet Corvette SS is the first purpose-built Corvette designed and engineered as a race car. 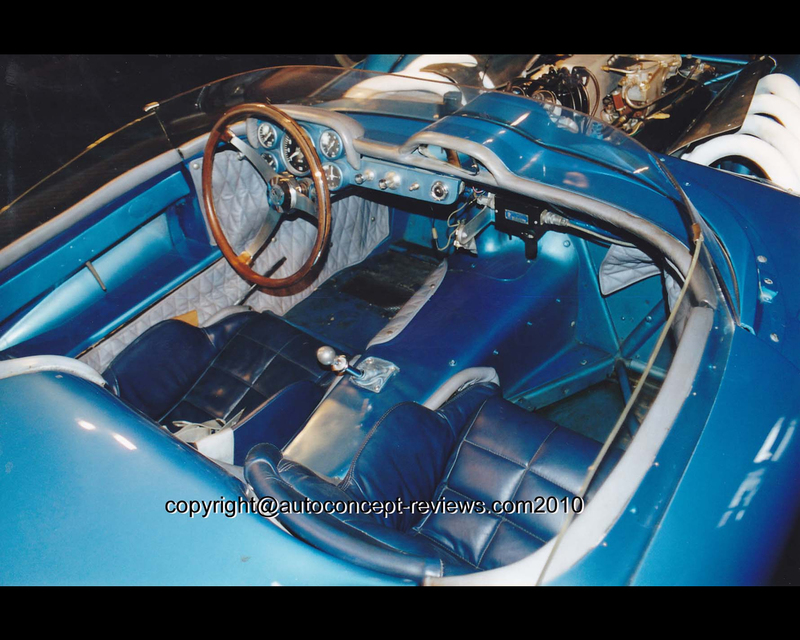 The original Corvette had started as a Show Car for GM Motorama mobile exhibit in 1953. The Corvette SS was developed in six months and participated to the 1957 Sebring endurance race but did not finish the race because of suspension trouble. In June 1957, General Motors, Ford and Chrysler top management signed the AMA ban for official participation in automobile racing and the Chevrolet Corvette SS abruptly ended up as a Show car away from the track. Ed Cole was Chief Engineer at the Chevrolet Division and has actively supported the original Corvette sports car project. He hired Zora Arkus Duntov for improving the performance of the roadster. Zora Arkus Duntov was a talented engineer and a racing driver with two participations at Le Mans 24 Hours. He was thus convinced that racing participation was a key element for the image of a sports car. 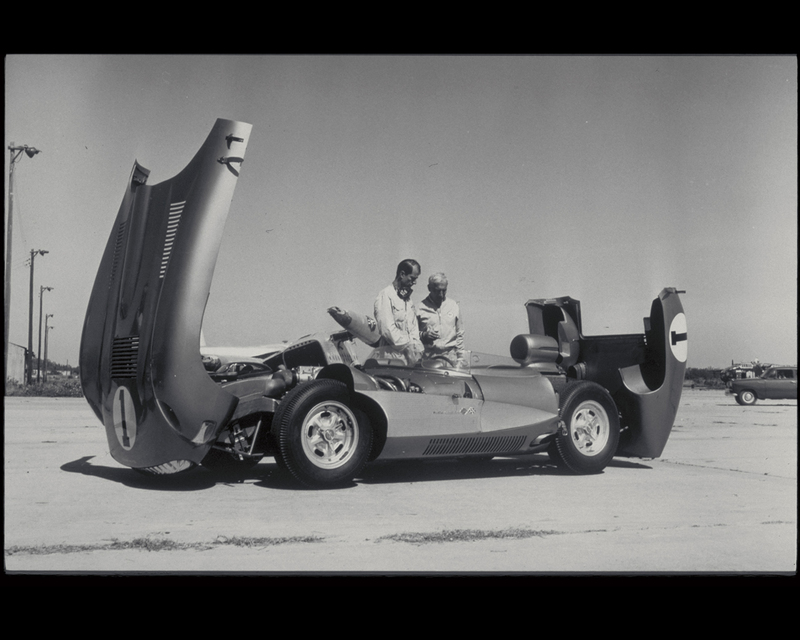 He had developed performance components for private racers wishing to modify their Corvette for the track. He proposed to develop a purpose built Corvette for the track. When budget approval came there was only six month left before the 1957 Sebring 12 Hours endurance race. It was decided to build a “mule” or test-bed machine in parallel with the Super Sport model. The mule would allow checking gradually the technical solutions. The Corvette SS was engineered around a specific multi-tubular space frame similar to the one on a Mercedes 300SL. The suspension was different from the original roadster especially with de Dion axle at the rear. The body of the Corvette SS designed by the GM Styling Centre was made of lightweight magnesium rather than fibreglass material of the production model. 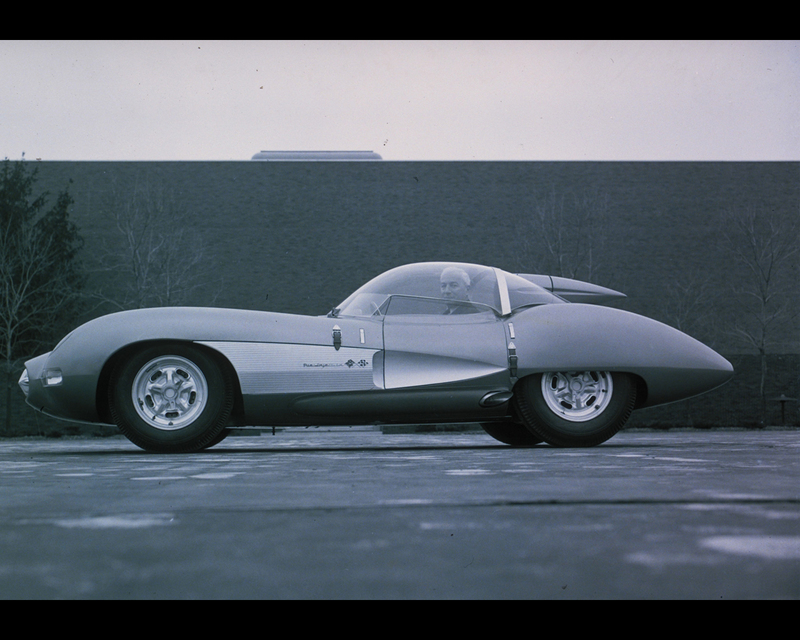 The dry weight of the Corvette SS was quoted for 1850 lbs (840 kg). The specially prepared V8 with Rochester Ramjet fuel injection was tested at 307 hp for 6.400 rpm on GM Technical Centre dynamometer. Zora Arkus Duntov with his experience at Le Mans 24 Hours was projecting a participation of the Corvette SS at this famous endurance race. 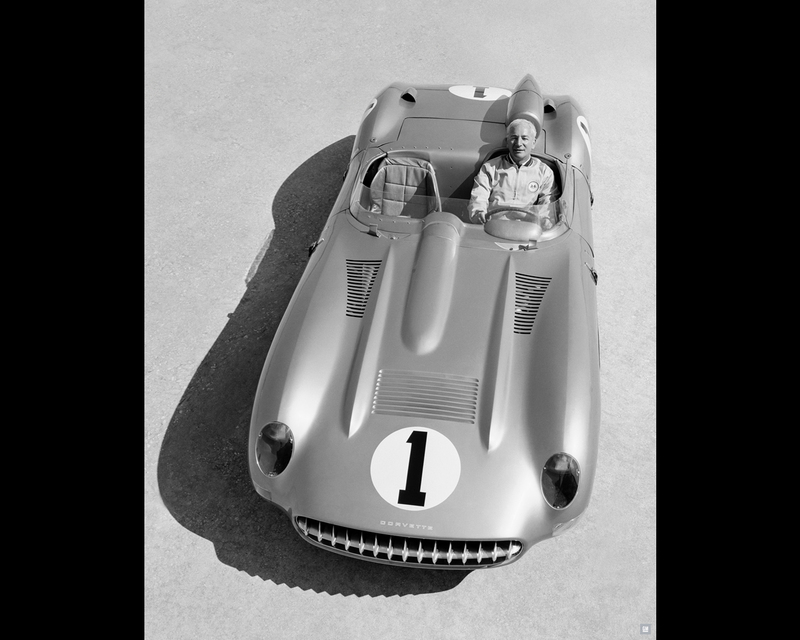 The first outing of the Corvette SS was at 1957 Sebring 12 Hours with John Fitch and Piero Taruffi at the wheel. As indicated above, the Corvette SS could not finish the race. Ironically two modified stock Corvette finished 12th and 15th while the SR-2 finished 16th in the same race. A special plastic canopy had been designed to improve aerodynamics but was not used in the race. 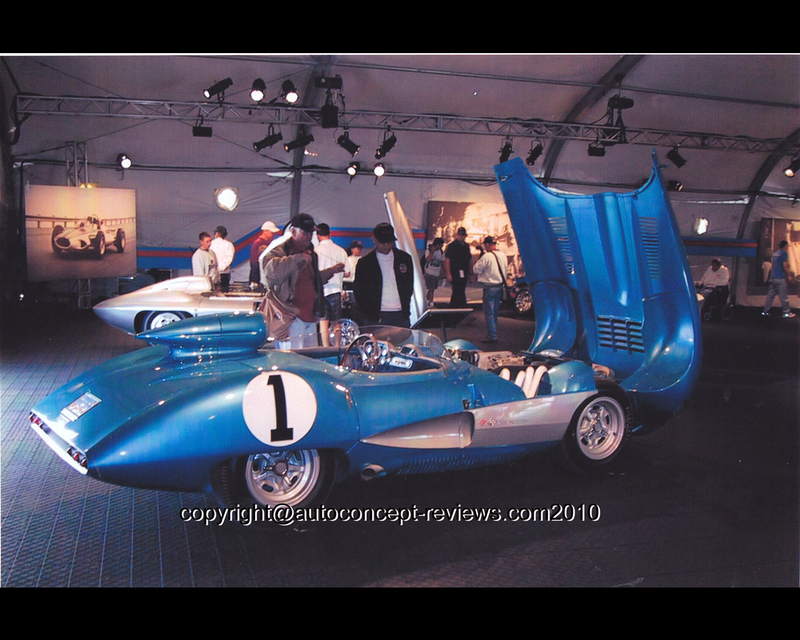 When the Automobile Manufacturers Association (AMA) decided a ban on participation or promotion of racing by its members in June 1957, the career of the Corvette SS suddenly ended and the car was carried as show car in several exhibits.